Go to the Rocky Mountains if you want to steer clear of drivers who text on the road. Nearly 3,500 fatalities in 2015 were caused by distracted driving — and yet, a chunk of drivers are still having trouble concentrating while behind the wheel. A new study from Zendrive, a San Francisco driving analytics startup, found that 12 percent (that’s 276,000) of the 2.3 million drivers surveyed still use their phones on the road. Phone addicts spend 16 percent of their time in the car on the phone. The data also found that these drivers are two times more likely to get into a collision than the average driver. 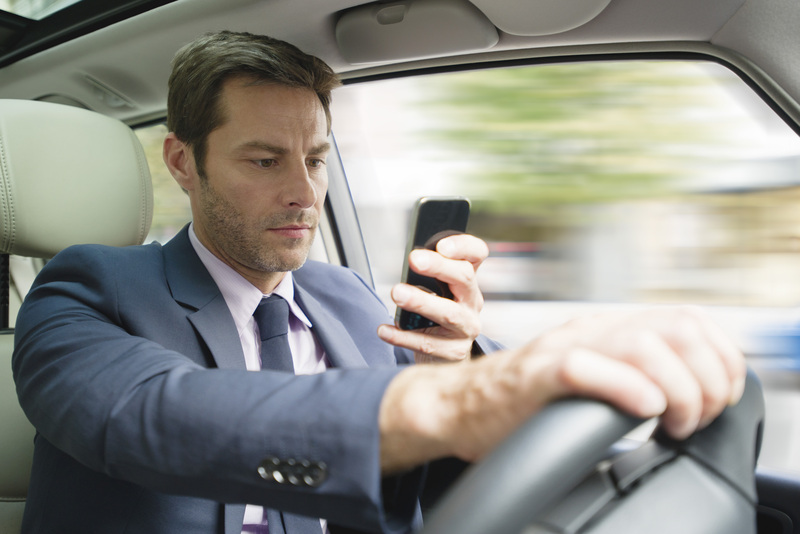 High risk drivers, which include phone addicts, speedy drivers, and those who rapidly accelerate and brake, are most prevalent in southern states spanning from Florida to New Mexico. Mississippi is home to the majority of phone addicts, the study found. The Pacific Northwest and New England have the safest drivers, and Montana and Idaho have some of the lowest numbers of people who use their phones while driving. Zendrive used smartphone sensors to track driver behavior from December 2016 to February 2017, and the study discovered that drivers used their phones in 88 percent of the trips analyzed during that three-month period. While 15 states have already enacted laws that prohibit phone usage on the road, very little has changed. The average percentage of phone addicts is 10 percent for states with a phone ban and 12 percent for states without a ban, according to the study. The minimal impact may be an issue of law enforcement, lack of awareness of the rules, or simply that people are “so addicted to their phones they’re willing to take the risk,” Zendrive co-founder and CEO Jonathan Matus told Bloomberg. U.S. road deaths increased by about 14 percent between 2014 and 2016, and the largest spikes were among cyclists and pedestrians, according to a 2016 National Highway Transportation Safety Administration report. What’s more, despite the fact that many car crashes are related to distracted drivers, most police reports don’t record phone distractions as the cause of the accident. Phone records are also harder to obtain and not as definitive as speeding or drinking charges, according to Bloomberg. Josephine is a graduate of Cornell University where she studied psychology and film. She was previously a content intern at Thrive Global.